Cate: Please welcome J. H. Bográn. José, will you please share a short bio with us? J.H. : I was born in what I like to call a five-star country in Central America. Still live in Honduras, in fact. I fell in love with thrillers during my teens, and without realizing it, I started making my own stories in my mind. Before long I was penning a few shorts. Now work in fashion manufacturing, a big industry in Honduras. I write at night, during coffee. I like plotting specially when I´m driving. Cate: Tell us about “Treasure Hunt” and where it's available. J.H. : Treasure Hunt is the first adventure of professional thief The Falcon. This time out, he is hired to retrieve a treasure (money stolen from a heist in 70’s). But he’s got more that he’d bargain for when others are after the money too. The book is available at the official Whiskey Creek website, Amazon, Fictionwise and plenty of other e-book places. Cate: Please tantalize us with a story excerpt. Falcon emerged in the middle of the pond, gasping for air, and saw four people at the edge of the water. The one that looked American took command of the situation. “Give me the money, slowly, or the girl gets it,” Davis warned. Dutifully, Falcon untied the string at his waist and swam to the shoreline, then with a swing of his right arm Falcon placed the soaked bag on the ground at the man’s feet. He pushed himself away from the edge, facing them at all times. Never breaking eye contact with Jack Davis. “No time for that, just close the bag and let’s go,” said the American. Jamie Porter sat in a corner, the fear showing on her face. Falcon felt useless at that particular moment. There was nothing he could do for her right then. “You got the money. Now let us go,” he demanded, hop-ing to bluff a stronger position. “Jefe, you promised me I could have my revenge,” the other Latin guy screamed. “And I suppose that’s a promise you don’t mind keeping,” said Falcon. The shifty looking smaller man did as he was told. He took the moneybag in one hand, and went over to Jamie and pushed her around to make her stand up and start walking. Jamie reached out to Falcon with her eyes, and it broke his heart. Instead of the hope she was searching for, all he could muster was a searing hatred for Jack Davis. His concentration was trained on him and him alone. Jack Davis turned to leave, with the mocking smile still firmly placed on his lips. He disappeared inside the tunnel. Cate: Excellent. What inspired you to write about the theme? J.H. : Back in the late 70’s, a few people hijacked planes for ransom. The first one and most popular is D. B. Cooper. A less known case involved a former pilot who parachuted in the Honduras coast and hid the money in the cave. I took that urban legend of sorts and built on it. Writing with a bad guy as the main character is challenging. You don’t want to glamorize evil, but at the same time, there is a certain appeal on the bad guys. J.H. : I have to sit down and think the arc of the novel, write an outline. I need the roadmap. Once that is ready, I thicken the plot with the details that come to me during the first draft. The outline also serves me to define the characters. On characters I play a roll not too different from a casting director. I create the characters that I need to tell the story. Cate: Very cool. Do you feel as if the characters live with you as you write? Do they haunt your dreams? J.H. : I wouldn’t use “haunt,” at least not so far. But yes, they must feel alive to me or I won’t be able to make reader believe in them. I don’t base my characters on real people, but I base their appearance in, for example, actors or some people I know. That helps me visualize them three-dimensionally. J.H. : I have two completed novels, one in English and one in Spanish. They are doing the rounds looking for a home. I am currently writing my third full-length novel in English. Cate: Great. Any other published works? J. H.: Actually, yes. I have two short e-books available. One is a sci-fi thriller, The Outpost. The other is my attempt at romance, with a twist: Love me Two Times. 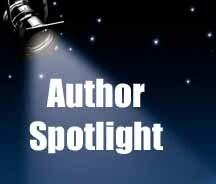 Both are available in kindle, here is my Amazon´s author page. J.H. : Surprising, realistic and action-packed. I may have cheated on the last one, but this is very tricky question. Cate: Yes it is. :) What’s the most challenging aspect of writing? Most rewarding? J.H. : I’d say finding a willing publisher and promoting. Gone are the days when writers were required to only write. Promotion is a big element these days. The most rewarding is hearing from a reader saying he or she loved your book. Cate: So true. What’s the most interesting comment you have received about your books? J.H. : That Treasure Hunt flows like following the eye of the camera, so the conversion to a movie script would be really easy. J.H. : Mario Puzo’s The Godfather, read it in high-school and still got that same old worn-out paperback edition in a special place in the home library. The thriller genre masters that influenced me are Ken Follett, Clive Cussler and Tom Clancy. I couldn’t have enough of their books back in the 90’s. Summer reading seems a trend topic in twitter these days. My TBR list includes 2 Baldacci’s, 1 Ken Follett’s and I want to finally get my hands on Gone with the Wind. J.H. : Related to my early response on the appeal of bad guys. What is it that makes audience root for them? Consider pirates in general (Jack Sparrow in particular), Billy The Kid, Bonnie & Clyde, and other such admired bad guys. Cate: Great question! Readers, J. H. is giving away a book to a lucky commenter... so start commenting. José will draw the winner’s name, notify the winner and post the winner’s name here. Be sure to leave your email address so he knows how to contact you! Thanks for being my guest, José! Best of luck to you. Welcome Jose! Congrats on launching your series. That cover's beautiful - wouldn't mind going there right now! Thank you for the opportunity. It was fun. I'm sure part of the appeal of bad men (and women) is the fact they dare to behave outside the norm. Best wishes for many sales and good reviews, Jose. Hi Jose! Saw the link to this site from Bksp.org and had to check it out. 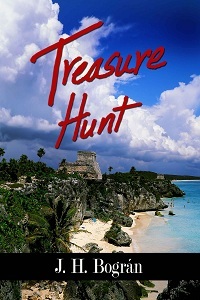 Excited to find this site as well as get a little excerpt of Treasure Hunt. A thriller set in SA sounds very interesting so I look forward to checking it out. I'll have to find The Outpost too, since I love SciFi. Good luck for great sales!